Lole Spring Apparel Get ready for warm weather in Lole's fresh styles! A softer co-polyester string, perfect for advanced players who need the spin and durability of a poly but with a more forgiving feel. Like the popular RPM Blast, Team keeps the octagonal shape and silicone coating for easier spin. Where it differs is the micro air bubbles injected into it's core which add flexibility to the string for increased absorption of vibration. Classed as a synthetic gut (or wrap) string - it is more than just a standard synthetic gut. It has the durability of a synthetic gut string due to it's solid core and special coating. However, Powergy has an ultra-flexible double multifilament wrap around it's solid core, increasing comfort and power to a level expected from a higher-grade multifilament string. *Some restrictions apply. "SpiralTek pricing" refers to stringing costs for Babolat SG SpiralTek. 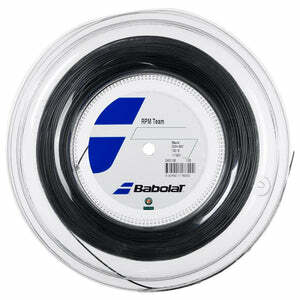 Offer only applies to stringing service's Babolat RPM Team and Babolat Powergy stringing options.